Partner Robert J. Salzer has co-authored a book designed to help anyone considering or in the midst of a divorce identify and overcome common obstacles to as smooth a resolution as possible. 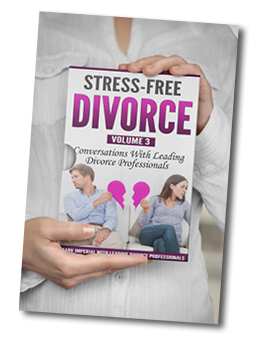 Entitled "Stress-Free Divorce," the book is structured as a series of conversations with leading divorce professionals. Robert contributed a chapter to the book, which is available in paperback and on Kindle through Amazon. "Divorce, much like life itself, is rarely 'fair,' but understanding how the law works and what pitfalls to watch out for will help readers navigate what is typically a difficult, stressful time in their lives," said Robert. "I'm happy to have the opportunity to share my insight through this book; empowering clients to realize that they are stronger than they believed is an immensely rewarding part of my job." A partner at Williams Family Law in Doylestown, Robert holds an LL.M in Taxation and focuses his practice on financially complex, high net worth family law matters, including divorce, alimony and spousal support, equitable distribution, child support and child custody, marital agreements, and more. He is an experienced trial attorney, making him a particularly effective matrimonial law and child custody litigator. To learn more or to contact Robert, visit the firm's website, www.bucksfamilylawyers.com, or call 215-340-2207.